In December 2010, the Tunisian people ignited a process of change that has impacted all of North Africa. A Constituent Assembly was elected in October 2011, which had as its main mission to elaborate the country’s and the region’s first truly democratic constitution. One of the Assembly’s first acts was to draft and approve its rules of procedure (or by-laws), which are designed to organize the constitutional drafting process, as well as the ordinary legislative process. This publication is the first in a series that International IDEA will be publishing on constitutional developments in West Asia and North Africa since 2011. The authors of this report highlight many of the strengths and weaknesses of the rules of procedure. 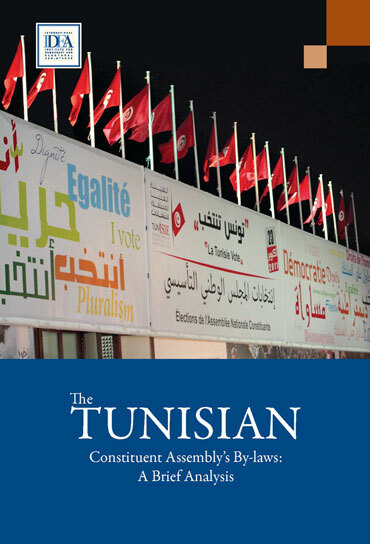 They also set out a series of recommendations that can be used to improve the Assembly’s effectiveness, or that of Tunisia’s future legislative body.